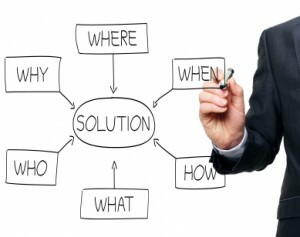 "IF YOU ARE NOT PART OF THE SOLUTION.....YOU ARE PART OF THE PROBLEM"
Have you spent most of your life in Canada going from job to job, looking for FINANCIAL INDEPENDENCE? Do you feel that you wasted time going to University, ending up with a worthless piece of paper? Do you continue to take useless courses promoted by "Con Artists" on MeetUp or on the Internet? Have you gone through one of the useless Self Employment Benefit Programs, run by various Provincial Governments, but DO NOT have a Viable, Sustainable Business to show for ALL your efforts? ? DO NOT WASTE YOUR HARD EARNED MONEY......DO NOT WASTE YOUR TIME.......DO NOT WASTE YOUR LIFE - PURSUING BUSINESSES THAT WILL NOT SUCCEED IN CANADA ! CHANGE YOUR LIFE, TODAY........BEFORE IT IS TOO LATE! We work with you, ONE ON ONE - to ENSURE your Self Employment Success! THE CMC SELF EMPLOYMENT SUCCESS PROGRAM ONLY COSTS $ 2,000.00 A YEAR, (OR $200.00 A MONTH). WE GUARANTEE YOUR SELF EMPLOYMENT SUCCESS IF YOU FOLLOW THE FULL PROGRAM. COACHING FOR A SECOND YEAR, AT ABSOLUTELY NO COST TO YOU! SIGN UP FOR THE CMC SELF EMPLOYMENT SUCCESS PROGRAM TODAY! The CANAMERICA BUSINESS NETWORK (CBN) is a Multi National Global Organization dedicated to providing Wealth Creation and Project Development services to Organizations working in International Trade and Business Development. CBN operates in strategic partnership with Sri Lanka Development Coproration of Canada (SLDC) and CanAmerica Network Marketing (CNM) based in the U.S. and Mexico. CANAMERICA 2020, our Project Development arm, assists its clients to obtain funding through International Funding Agencies such as the International Finance Corporation (IFC) and the Asian Development Bank (ADB). The Consortium specializes in "Global Wealth Creation" through International Project Development and Management. Our Supreme Strength is the Preparation of Feasibility Studies and Project Implementation Plans. We seek a highly committed Director of Finance & Corporate Affairs for the new Asia Travel Trade and Investment Centre (ATTIC) in Vancouver, British Columbia. ATTIC will be THE MOST COST EFFECTIVE catalyst for Trade, Travel and Business Development between the North American Continent and Asia. 1) Canada Asia Development Consortium (CADC) - The primary objective of this Company, based in Galle, Sri Lanka is to provide Operational Management for its Agro Industrial subsidiaries in Asia. CADC intends to establish a new corporate model that combines economic viability with social and environmental sustainability, to take advantage of the enormous business opportunities for Canadian, U.S. and Mexican Companies in Southern, Central and Eastern Sri Lanka. 2) Canada Asia Nutraceuticals Company (CAN) – Product development of functional foods and beverages for world markets. It will focus on the Research and Development of coconut ketones as a potential cure for Alzheimers disease. (www.CoconutKetones.com ) It will also engage in the research and development of health and nutrition products, utilizing indigenous ingredients. It is currently working on Developing various Super Foods based on Moringa, Mangosteen and Aloe Vera, to solve Global Hunger and Malnutrition and counter rapacious Multi National Pharmaceutical Companies operating in Asia. 3) Canadian International Cosmeceuticals Inc. (CICI) - This Company will research and develop cosmetic products with health benefits, such as ayurvedic oils and lotions, to compete more effectively with Companies such as Aveda. We will also seek Strategic Alliances with outstanding Canadian Companies such as Saje, wherever appropriate. 4) Canada Asia Plantations Cluster (CAPC) – Plantation Development & Management Company, based in Kandy, Sri Lanka, producing organic and functional food raw materials such as King Coconut, Moringa, Mangosteen, Aloe Vera, Amlaki and Noni for CAN. A new Operating entity, CanAmerica Organic Plantations Co-Operative (COPCo) is planned for British Columbia for 2016. 5) Samsara Retreats International (SRI) - Development of specialized health retreats, Globally, that promote integrated body, mind and Spiritual well being, combining North American Spa services with Ayurvedic modalities. SRI will be promoted Globally by "Soul Adventures Asia". 6) Canada Asia BioFuels Company (CABCo) - Promotion and Development of BioFuels, using Coconut Shell Carbon and Sugar Cane. Japan has recently commenced a $ 600 Million dollar Project for Coconut Bio Fuels on 600,000 acres in the Phillipines. 7) Canada Asia Waste Management (CAW) - Promotion and Development of environmentally “friendly” waste management. CanAmerica 2020 will also be involved with several International Joint Venture Partners on the Development and sale of Eco-Brix, manufactured from Coconut Coir Fibre. · Responsible for Launching the "King Coca Global Prosperity Fund" (KCGPF) as an Initial Public Offering in the Colombo Stock Exchange. · Negotiate and successfully conclude Joint Venture and Strategic Alliance agreements with Asian public and private sector organizations, on behalf of Global Clients. · Participate in the strategic direction of the company, and play an active role on the Executive team. · Establish and ensure compliance of a Corporate Code of Ethics. · Relationships: Highly developed emotional intelligence to build strong internal and external relationships. · Negotiation Skills: the ability to negotiate win – win contracts for our North American and Asian clients. · Communication Skills: highly developed communication and presentation skills. · Academic Background: Preferably, a CPA and M.B.A. with Project Management and Investment Marketing expertise. 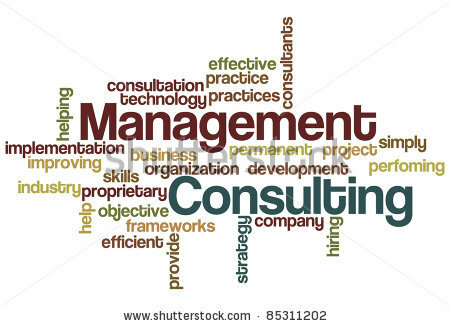 · A minimum of five years of significant senior management experience. · Impeccable honesty and integrity. · A cash security deposit of $24,000.00 is required, refundable at the rate of $ 2,000.00 monthly in the second year of employment. The right Candidate will earn in excess of $ 120,000.00 per year, optionally, on a tax-free basis. The Company is also willing to consider a candidate to be trained for this position with lesser qualifications but with exceptional long-term potential. If you are ready for the challenge, then apply to: CORPORATE@CANADADEVELOPMENT.ORG. We want to thank everyone for their interest in this position, but only qualified applicants will be contacted for an interview. CANAMERICA 2020, is a Global Consortium, dedicated to providing Pre Development Management Consulting, Project Development and Project Management Services to Organizations working in International Wealth Creation, with a particular focus on the booming South Asia region. We seek three highly committed Directors of International Business Development for the new CanAmerica Business Development Center (CBDC) in Colombo. Sri Lanka. 1) Canada Lanka Development Consortium (CLDC) - The primary objective of this Company, based in Colombo, Sri Lanka, is to provide Operational Management for its subsidiaries. CLDC intends to create a Revolutionary new corporate model that combines economic sustainability with social and environmental responsibility to counter Multi National "Corporate Terrorism" in Asia. 2) CanAmerica Business Development Centre (CBDC) - Operation of a Trade, Travel and Business Development Centre for all of South Asia, located at the World Trade Centre in Colombo, Sri Lanka. 3) Canada Lanka Plantations Cluster (CLPC) – Plantation Development & Management Company. 4) Canada Asia Nutraceuticals (CAN) – Research and development of health and nutrition products utilizing indigenous ingredients. 5) Samsara Resorts International (SRI) - Development of specialized health resorts with specialized Spa facilities that promote integrated body, mind and spiritual well being. 6) Canada Lanka Agro Forestry (CLAF) - Development of Plantation Forestry on a sustainable, build, operate and transfer (BOT) basis. If you are ready for this Life Changing Opportunity, apply to: CORPORATE@CANADADEVELOPMENT.ORG. · Negotiate and successfully conclude agreements with Canadian, U.S. and South Asian Private sector, Government as well as non-government agencies. · Responsible for the Launch of the PanAmerica Plantations (Food Security) Fund and the Canada Nutraceuticals (Health Protection) Fund. · Responsible for growing and enhancing strategic client relationships. · Previous sales or marketing expertise with a proven track record of success. · Proven Track Record: Senior level management expertise with a proven track record in building a successful client base. · Negotiation Skills: the ability to negotiate win – win contracts for our Canadian and Asian clients. · Academic Background: Preferably an undergraduate degree in Business, Marketing, Engineering or a similar discipline. · An investment in cash or in kind of $ 25,000.00 is required to cover estimated administration expenses in the first year for the office in Colombo. International Business Development offers one of the most emotionally satisfying careers for those who believe that one’s livelihood must also be meaningful and contribute to making the world a better place. For those with the right attitude, it offers the prospect of unlimited opportunities for personal growth. You may also choose to operate from the office in Toronto or Vancouver. The compensation for this position is expected to exceed $ 150,000.00 annually and is only restricted by one’s own commitment and dedication to meeting Project Development goals. If you are ready for the challenge, then send your resume to: CORPORATE@CANADADEVELOPMENT.ORG. We want to thank everyone for their interest in the Position of Director, International Project Development, but only qualified applicants will be contacted for an interview. We are looking for a Full-time Director of Recruiting for our Toronto office. You will be working to build strong relationships with Global Ethical Investment Companies and Organizations. 1) To recruit 100 Trainee International Development Consultants from North America to work in Sri Lanka on three to twelve month assignments, commencing in April 2018. 2) To raise $2,500,000 from Corporate sponsors to fund the 100 Trainees. 3) To raise Global awareness about the benefits of “social business” as a bulwark against rampant Global terrorism. 4) Volunteer recruitment, retention and development. • Hard working and loyal to the Organization. • Creative, flexible and able to adapt plans to a constantly changing environment. • A minimum Compensation package of $ 120,000, based on performance. • A relaxed but stimulating working environment, with flexible working hours. Canadian International Development Consultants (CIDC) has over a period of twenty five years, brought Economic Opportunity, Environmental Sustainability and Social Justice to Sri Lanka. We are now ready to take advantage of several, Outstanding, Ethical, Economic Opportunities in the World! We are passionate about Capacity Building, community development and establishing self sufficient agro business entities funded through micro finance. Please respond to CORPORATE@CANADADEVELOPMENT.ORG with your resume, if you are interested in working with CIDC and making a difference in South Asia. · Compensation: Approximately $ 85,000.00 annually. CanAmerica Network Marketing (CNM) is the fundraising arm of CANADADEVELOPMENT.ORG. We are looking for a Full or Part Time Director of Fundraising, with outstanding Business Development skills, to launch our Global Fundraising initiatives, including the “Cricket Calendars.com” initiative. You will be working to build new relationships with high quality Global Corporate clients. You must have an outstanding track record in Corporate Fundraising and WELL ESTABLISHED CORPORATE RELATIONSHIPS. You will possess exemplary time management skills, highly self motivated, with a single minded focus to achieving the sales targets of the company each and every month. 1) Achieve sales of $ 25,000.00 in the first month. 2) Achieve sales of $ 100,000.00 in the first three months. 3) Achieve sales of $ 1,000,000.00 in the first twelve months. • Commission based compensation in excess of $ 120,000 annually, optionally, on a tax free basis, with the possibility of immigrating to Canada. • Potential stock options will exceed a million U.S. dollars. The Company is also willing to consider a candidate to be trained for this position with lesser qualifications but with exceptional long-term potential. If you are ready for this once in a lifetime opportunity, then apply to CORPORATE@CANADADEVELOPMENT.ORG , stating why you think that you are one of the best Business Development Executives in the world. "WHAT MAKES YOU A TRUE LEADER ?"